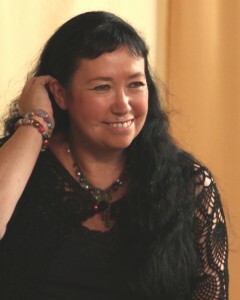 Pascale Petit’s latest collection, What the Water Gave Me: Poems after Frida Kahlo (Seren, 2010), was shortlisted for both the T.S. Eliot Prize and Wales Book of the Year, and was Jackie Kay’s Book of the Year in The Observer. Two previous books, The Zoo Father and The Huntress, were also shortlisted for the T.S. Eliot Prize and were Books of the Year in the Times Literary Supplement and Independent. She has worked as Poetry Editor of Poetry London and currently tutors courses at Tate Modern and for The Poetry School. Arts Council England has awarded her a Grant for the Arts award to complete her next collection Fauverie, due from Seren in October 2014. A bilingual Selected Poems is also due to be published in China early in 2014.